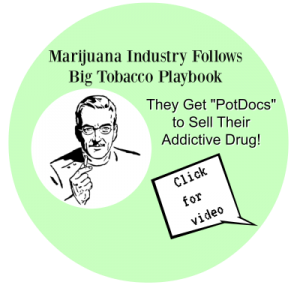 Editor’s Note: Vermont bill H.511 was passed by the VT legislators and approved by Governor Scott (who was abundantly forewarned by parents, physicians, law enforcement groups, lawyers the consequences of legalizing home pot grows will have dire effects on the communities in Vermont, especially to the young people). I live in Vermont. I am an advocate against the legalization of Marijuana. Someone once said that the hottest place in Hell is reserved for the people who during times of critical debate kept their opinions to themselves. I think it’s wrong for the legislature to exclude the DOJ and the FDA from having oversight and legal authority over the production and distribution and safety of marijuana products. In my state of Vermont, we passed a bill for medical reasons. When you are praising the personal freedom and beneficial tax receipts designed for the legalization of marijuana you must also count the unintended consequences that occur because of it. To include the carnage that left five teenagers lifeless on the interstate because someone was in need of treatment from marijuana induced psychosis. The dad, who while under the influence of THC, leaped out of a multiple story building, holding his infant child. It encompasses the growing burden put on our ER departments. Our sons and daughters who were well on their way to contribute greatly to society before marijuana triggered their mental psychosis. They were pre-med students. They were class Valedictorians. A few wanted to serve their country via the military. Some were too young to have career ambitions before marijuana triggered them into the whirling dervish of mental illness. All too many could not cope with their “triggered” mental illness and willfully committed suicide while others succumbed to overdoses. Family members have spent life savings in hopes of curing onset marijuana induced schizophrenia. Spending thousands on court fees, attorneys and private investigators to locate our missing young adults. We’ve set our retirement dreams to the wind. These are all real stories not ever seen on national news. They are stories within my own, small local NAMI group in Burlington, Vermont. These are not people who had “bad” genes. They are people who reached their tolerance from environmental triggers that permanently changed their epigenetics. I don’t have the time or the patience to provide you with the proof of deleterious effects the legalization has had in Colorado. It should be enough to kill HR3354 and S1662 (Vermont) bills solely because it’s morally the right thing to do. Marijuana triggered my son’s psychotic break at the age of 21. Like an electrical circuit breaker that had tripped due to a short, his brain won’t reset because once these epigenetic changes take place in DNA they are prone to replicate themselves. That’s why severe mental illness doesn’t go away. The inconvenient truth is why shouldn’t a person who is unknowingly susceptible to marijuana psychosis be protected as much as an immune compromised individual who is at risk from a non-vaccinated population. The fact is most young adults will partake in THC products if made available especially when gotten from a certified governmental source. The problem is certified sources don’t remove the risk for the “vulnerable few”. Thank you for letting me speak concerns for the “vulnerable few” who can no longer coherently speak theirs. Thank you for sharing your experience and knowledge with us at Moms Strong. I am so sorry for the harm that marijuana has caused in your family. My son too exhibited psychosis from his pot use. May the future hold some treatment and healing for your son. May your outreach help others realize the risks involved in use of this drug. Thank you for all you are doing to help others. My son has suffered similarly. However, please remain strong and hopeful as I do for recovery.